One thing that comes up all the time regarding Halloween Horror Nights, whether it be on our forums, social media, or at the event is how can you take good photos and/or video at Halloween Horror Nights? What are the tips, tricks and equipment we use? I’m going to try and give everyone some basic information regarding low-light photography and videography, now I’m no so called professional or get paid for any photography that we take at Halloween Horror Nights but hopefully this information will help some of you. In 2015 for photography I shot with a Nikon D7100 and a Sigma 30mm f/1.4 lens. For videography I film with a Canon XA10. This will more than likely change for 2016 as I have my eye on a new setup/rig. We’ll leave out Point-And-Shoot cameras, so that leaves you with Mirrored (DSLR) or Mirrorless. What’s the difference? DSLRs use the same design as the 35mm film cameras of days gone by. A mirror inside the camera body reflects the light coming in through the lens up to a prism (or additional mirrors) and into the viewfinder for you to preview your shot. When you press the shutter button, the mirror flips up, a shutter opens and the light falls onto the image sensor, which captures the final image. DSLR camera bodies are comparatively larger, as they need to fit in both a mirror and a prism. DSLRs use a technology called phase detection, which quickly measures the convergence of two beams of light for autofocus. Mirrorless cameras, light passes through the lens and right onto the image sensor, which captures a preview of the image to display on the rear screen. Some models also offer a second screen inside an electronic viewfinder (EVF) that you can put your eye to. A mirrorless camera body can be smaller than a DSLR, with simpler construction. Mirrorless cameras have both phase and contrast detection sensors built into the image sensor, and can use both to refine their autofocus. Shaky hands make for blurry pictures, and the effects are magnified the longer your shutter speed, or the more you zoom in. Both DSLR and mirrorless cameras offer image-stabilization systems: Sensors measure camera movement, and the camera slightly shifts either part of the lens or the image sensor in a direction that’s opposite to the shake. Some mirrorless models shift both the lens element and the sensor in a synchronized pattern. The differences between these approaches are minimal. The main advantage of sensor stabilization is that it works with all lenses. Lens stabilization only works with lenses that have it built in, which are often more expensive. Either way, most modern cameras can deal with a small amount of camera shake to produce a sharper picture, but can’t compensate for larger movements. Both types of camera can take high-quality pictures, with similar resolutions and amounts of graininess, known as noise. Mirrorless cameras’ smaller image sensors used to mean lower quality (as they couldn’t capture as much light), but that is no longer the case. Camera manufacturers have learned to produce more sensitive chips and to better suppress noise. Furthermore, several mirrorless camera makers, such as Samsung and Sony, now use the same APS-C sensors found in the majority of DSLRs. Sony’s A7 line of cameras use the even larger full-frame sensor type found in the best professional DSLRs. Because of their on-chip focus sensors, higher-end mirrorless cameras are generally better suited to video shooting. DSLRs can’t use phase detection with the mirror up while recording video, so they have to use the slower, less accurate, contrast-detection focus method. This leads to the familiar blur-blur look in the middle of a video when the camera starts hunting for the right focus. However, some newer SLRs are adding phase detection on the sensor. Mirrorless cameras, such as the Sony A6300 and the Samsung NX1, can capture 4K, or Ultra HD, video with four times the resolution of HD footage. The technology is slowly trickling down to lower-priced mirrorless models. Currently, only higher-end DSLRs, such as the Nikon D5 and Nikon D500, shoot 4K/Ultra HD video. Video professionals, if they use a still-photo camera at all, tend to prefer DSLRs, because the cameras have access to a huge range of high-end lenses. Autofocus isn’t a concern for pros because they can often focus in advance, knowing where their subjects will stand in a scripted scene. Choosing a DSLR gives you access to a plethora of lenses from a number of manufacturers, ranging from cheap and satisfactory to professional and wildly expensive. Mirrorless models are more restricted, offering access to a small number of lenses from the camera maker, though the selection is growing. The proprietary mirrorless systems from manufacturers like Sony (A series), Pentax (Q cameras) and Samsung (NX series) have the fewest lenses, because these companies have only recently introduced mirrorless models. Sony offers 17 E-mount lenses, for instance, while Nikon has hundreds available for its DSLRs. A mirrorless camera is better for a casual to semi-serious photographer who wants a lighter kit to carry around all day. A serious or pro shooter who wants access to a wider range of lenses and other gear would be better off with a DSLR. When you’re shooting in low light, you want as much light to enter the camera as possible within a given shutter release. 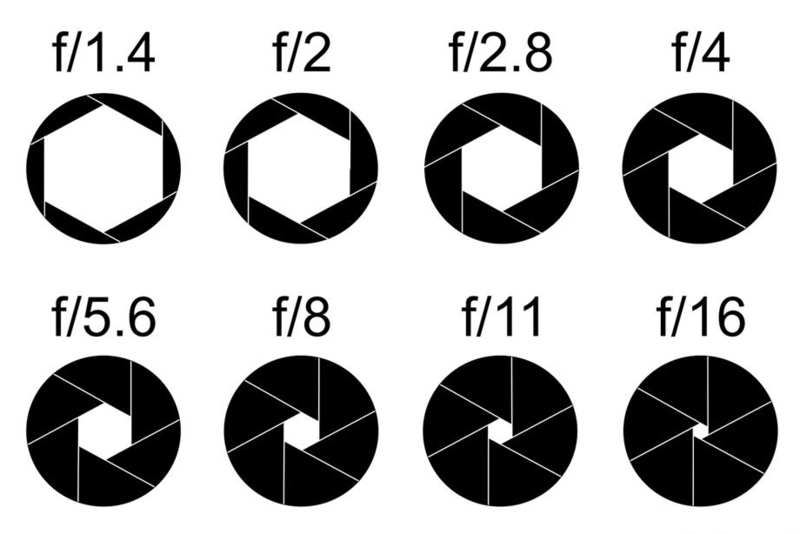 Every lens is given an F-Stop rating, indicating how much light will enter your camera in conjunction with your shutter speed. A low number like F/1.4 indicates the lens is ‘fast’ and will allow a lot of light to enter. A high number like F/22 means the opening is very narrow and minimal light will be able to enter. Fast lenses require complex manufacturing and are typically more expensive than their slower counterparts. Depending on your budget start with a 50mm f/1.4 or f/1.8 and/or a 35mm f/1.4 or f/1.8. Sigma makes two great, although a bit expensive low-light zoom lenses with the Sigma 18-35mm F/1.8 and the Sigma 50-100mm F/1.8 which are great for photography and videography. The challenge with Halloween Horror Nights is low-light and the movement of the scareactors which will cause blurry images. What can you do to help? A challenge comes in learning how your camera responds to given ISO settings and how each impacts the quality of the capture. 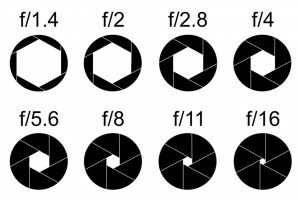 It’s essential to know shutter speed to aperture relationships. It’s essential to know how subject movement will be recorded based on a given shutter speed. It’s essential to show patience while you wait for long exposure noise reduction to process your file. Capture all your low-light images in RAW. More detail is retained in the shadows and highlights than in a compressed jpg file. Compressed files bundle together thousands of pixels that otherwise may contain valuable detail. If you discard those extra pixels that hold data, you lose the potential to restore valuable picture information. Use Adobe Lightroom to process the file. Most of us Halloween Horror Night shooters try night to use any type of flash, however it’s all personal preference and depends on the type of shot your looking for. If there’s low light and you use flash, get creative. If your camera has rear curtain or slow speed sync, incorporate the use of flash, especially if there’s a subject that moves across the frame during your exposures. Slow speed/rear curtain sync allows the shutter to stay open longer and fires the flash at the end of the long exposure. Another technique is to set your camera to manual mode and manually trigger the flash any time during the exposure to illuminate a foreground subject during the exposure. An external speed light (flash) will always be better than a built in flash with the mid to high-end flashes able to rotate and “bounce” off objects. High ISO photography is becoming more and more of a reality. Full frame sensor cameras do an admirable job to allow high quality high ISO images to be made. As the technology improves, it will only get better. This being said, there is a limit as to how high you can set your camera to capture an acceptable file. Shoot a series of photos and keep increasing the ISO until you max out your setting. Download and evaluate all the captures to see where the cut off occurs that determines a file is unacceptable. Armed with this information, if you encounter a low-light situation in the field, you’ll know how far you can go with your ISO. With my Nikon D7100 I shoot no higher than ISO 3200 to 6400. A big challenge with low-light photography occurs when there’s subject movement. There’s a relationship between the aperture, shutter speed and ISO that determines if you can freeze subject motion. To allow the most light to strike the sensor, fully open the aperture and raise your ISO to where you get an acceptable capture. Do this in Aperture Priority mode. The shutter will now be set to its fastest possible speed. Make a picture and evaluate subject movement. If motion is still detected, short of increasing the ISO to a number that produces unacceptable image quality, it may not be possible to make the photo unless the use of flash is incorporated. I start with a shutter speed of 1/30 to 1/50 and the aperture of f/1.4 to f/2.8 with my Sigma 30mm. Look for areas around the scarezone that might have more light and less fog. Fog will reflect any light from a flash or speed light, avoid it. See how the scareactors move and react to certain things, plan your shot and shoot. It may take time to get the shot you want. Keep shooting, take lots of pictures, try burst mode. Chances are you will have a few good shots of the shot you want. Patience is key when shooting at Halloween Horror Nights. Most photographers attend multiple nights an dedicate nights just for photography and videography. It’s most important just to enjoy and have fun. Do not harass the scareactors by getting in the way of there job of scaring guests, thank them if they stop and pose for you, they don’t have to. Be courteous of other guests and the experience they are trying to get. We hope this helps you get better photos and/or video at Halloween Horror Nights. Comments and questions can be posted below or over on our forums: HHN Photography & Videography.